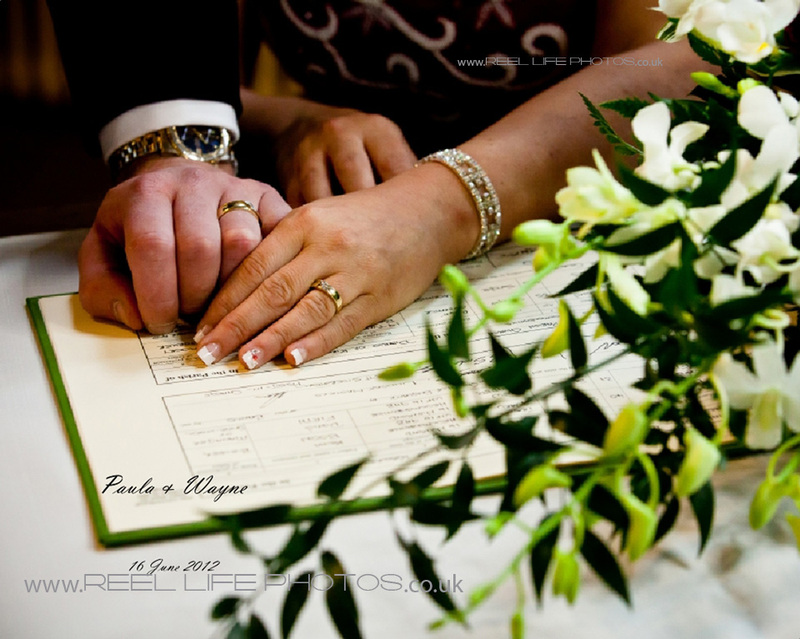 Paula and Wayne approached me before they had even secured their preferred wedding venue – the Lakeside Restaurant at Ponderosa in Heckmondwike, West Yorkshire. 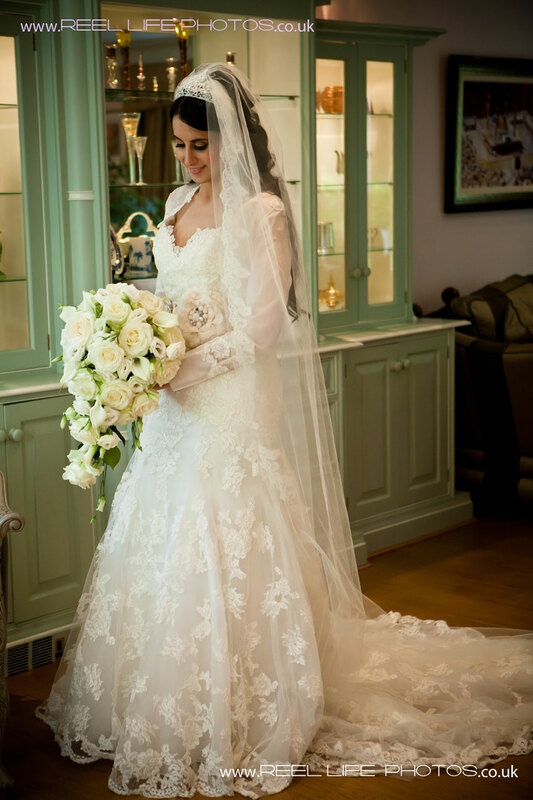 They were over the moon when they managed to get not only the church on the date they wanted – the 16 June, but also their chosen wedding venue and ideal wedding photographer for their lively personalities! 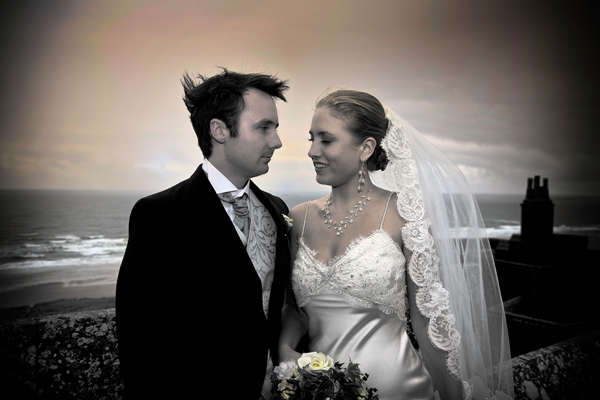 These images below are all wedding pictures they chose to have in their storybook wedding album which will be printed in Italy by Graphistudio. All ready to go to the church! bride arrives with her father-in-law but the ushers are all ready and the guests seated now. 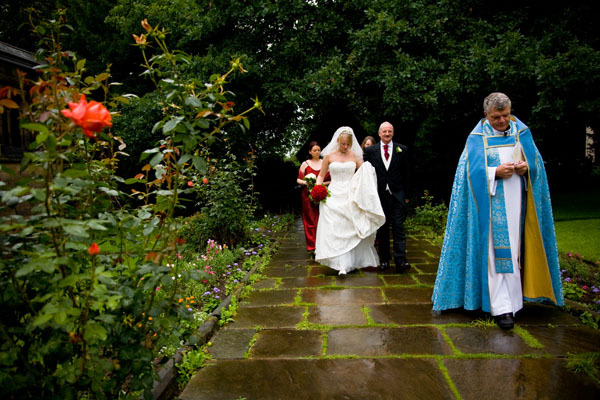 The bride and groom look round and laugh as the vicar asks if anyone knows of any lawful reason why they should not get married today! Now that was quick and easy wasn't it... 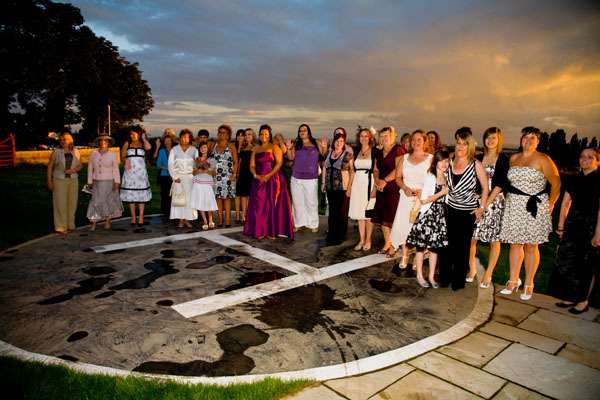 The bride takes the lead and marches out down the aisle! Few pics of parents and groom's gran, then off to Ponderosa, as it is raining! Welcome drinks always seem to coincide with confetti... Great fun though! The top table looks so beautiful! They look SO happy, and full of fun! 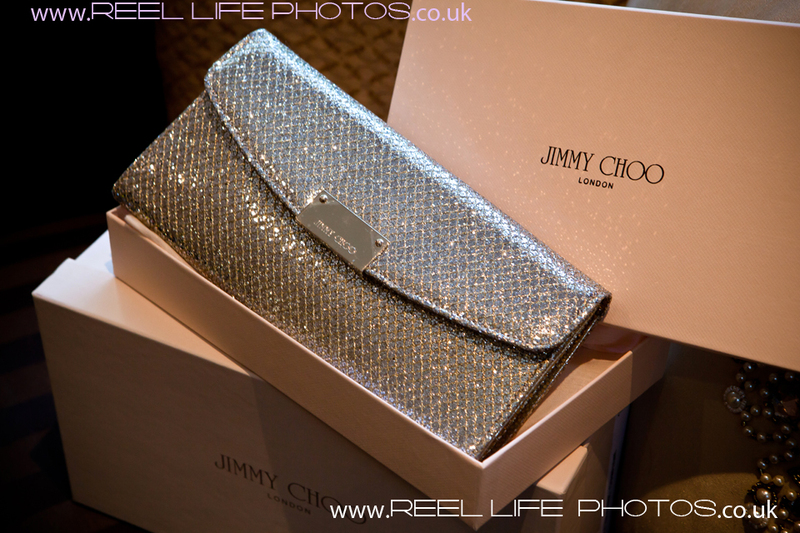 Like mushrooms sprouting after the rain, up pop the family wedding photos! "Yes, the restaurant is shut to the public for us - see! " 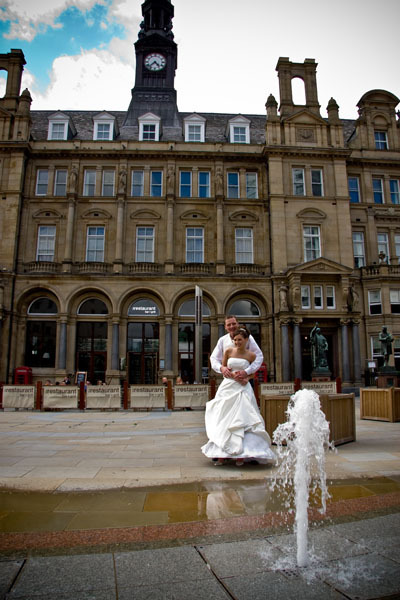 Quick its stopped raining - so lets get a few pics of the happy couple! The little girl in the background, makes this image on the right! The groom and his groomsmen know how to party! 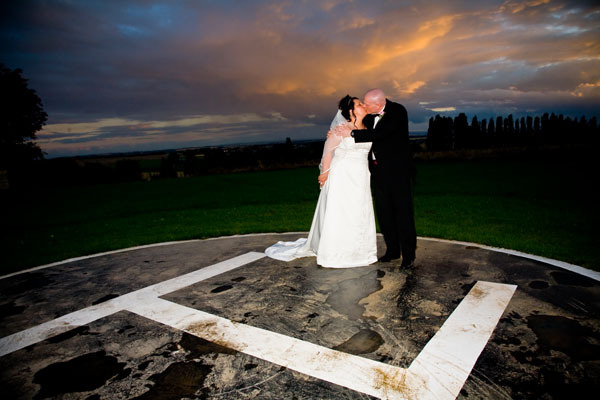 This lovely June wedding day at Ponderosa Lakeside Restaurant was also blessed with a rainbow to add to the dramatic skies. 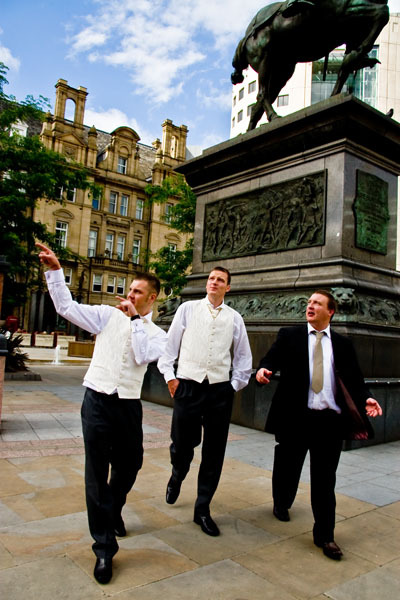 See on the pictures of the groomsmen outside the wedding venue getting “Fresh Air” . The children enjoyed their day, as much as the adults. Rainbow and wedding cake - great combination! or visit our website for more info. 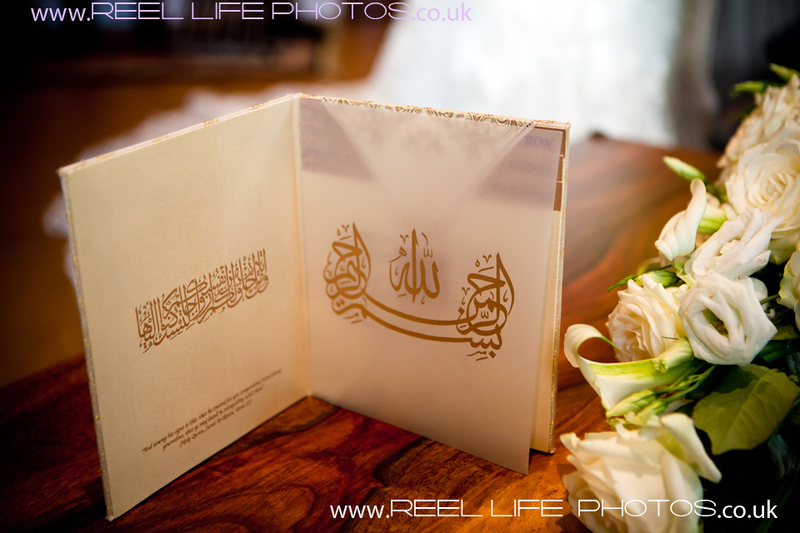 If you would like a wedding album designing for you and fancy something creative, happy to use a mixture of your ideas, as well as mine. 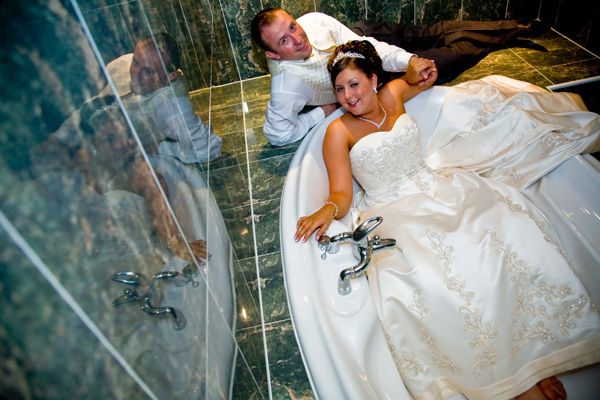 These are pictures of the bride and groom, taken around the hotel – Mercure Dunkenhalgh hotel, Blackburn Road, Clayton Le Moors, Lancashire, BB5 5JP – and in the nearby countryside. You can also see some of their engagement photos in an earlier blog. 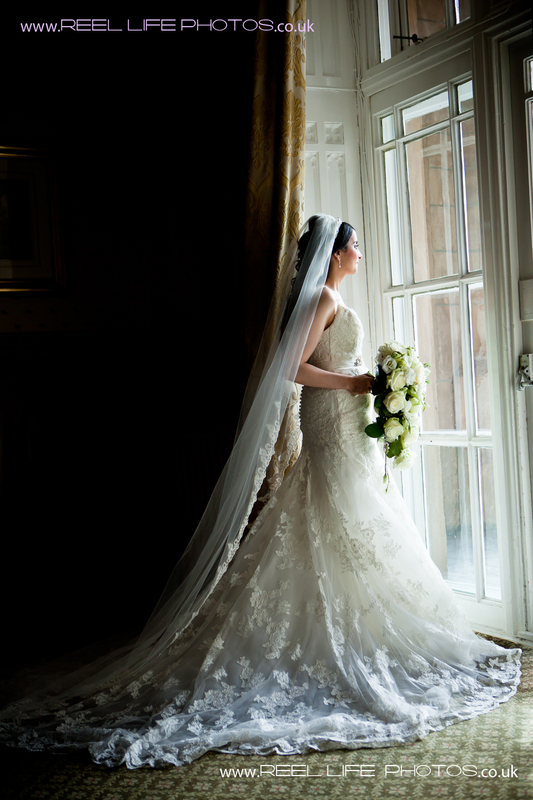 Bride by the window - how beautiful! 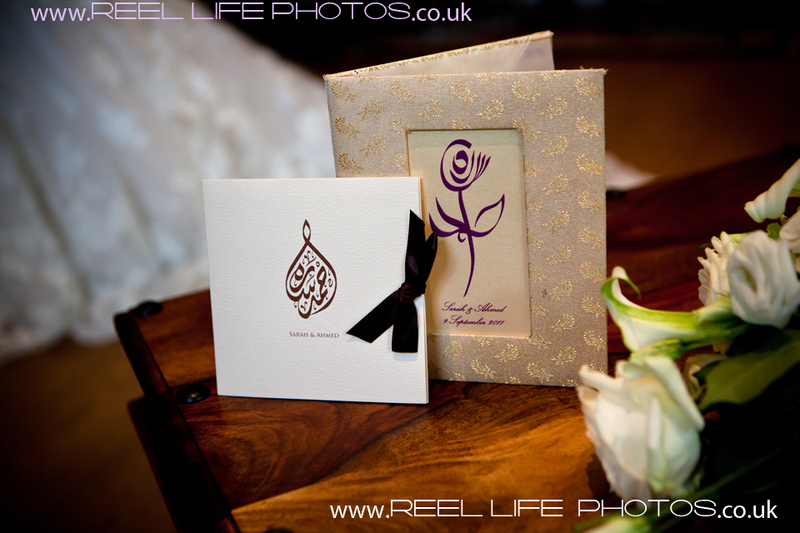 This wedding invitation spells the bride and groom's names in Arabic, even though it masquerades as just a rose! 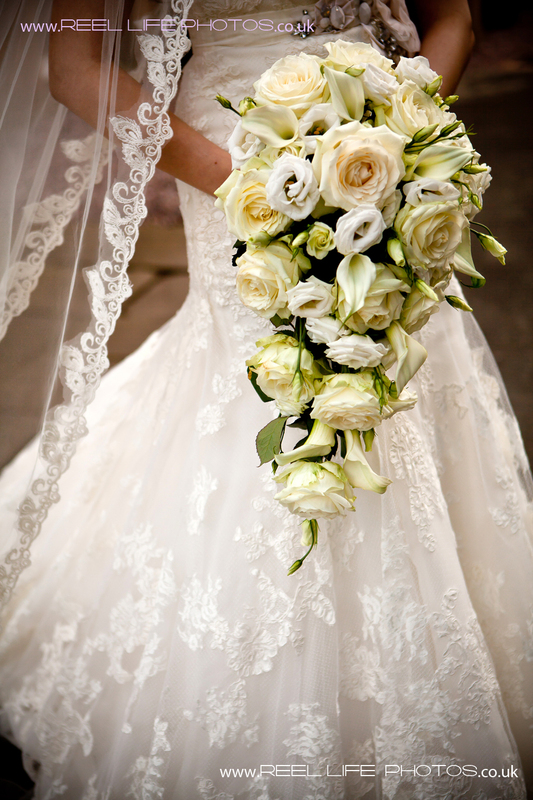 The lacy wedding dress and veil act as a foil to this magnificent bouquet of pale yellow roses. All ready for the wedding! 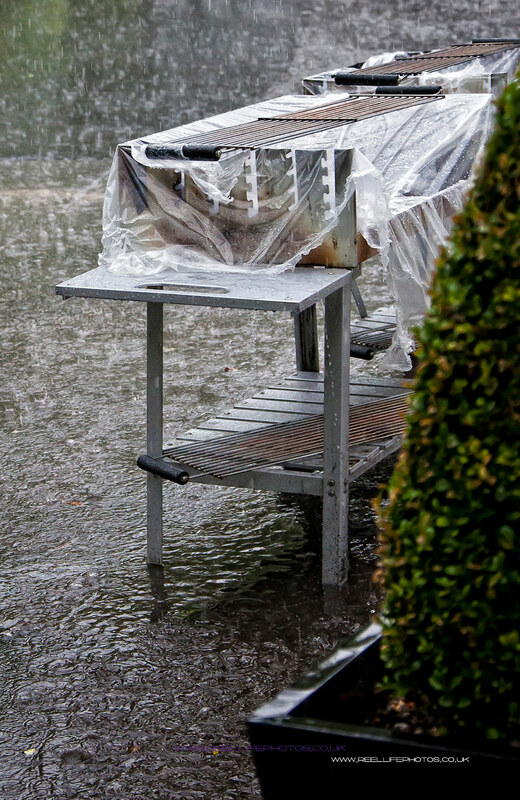 rainy day wedding picture of barbecue covered in plastic with rain bouncing off. 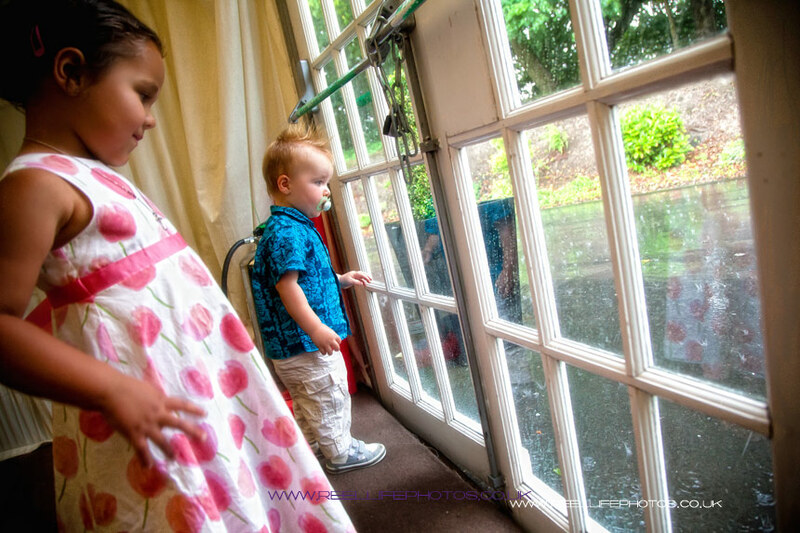 Children riveted by the raindrops! 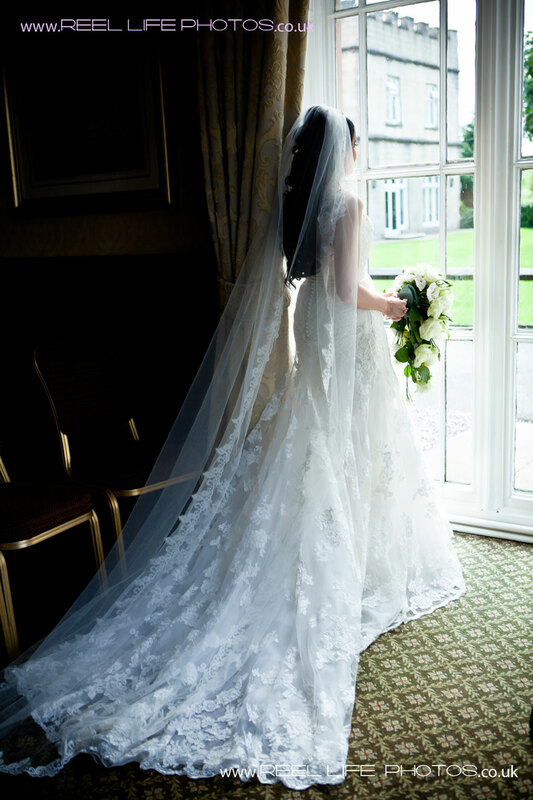 This year has been one of the wettest I can ever remember, but we have been extremely busy with weddings, so have had to be extra creative on occasions. 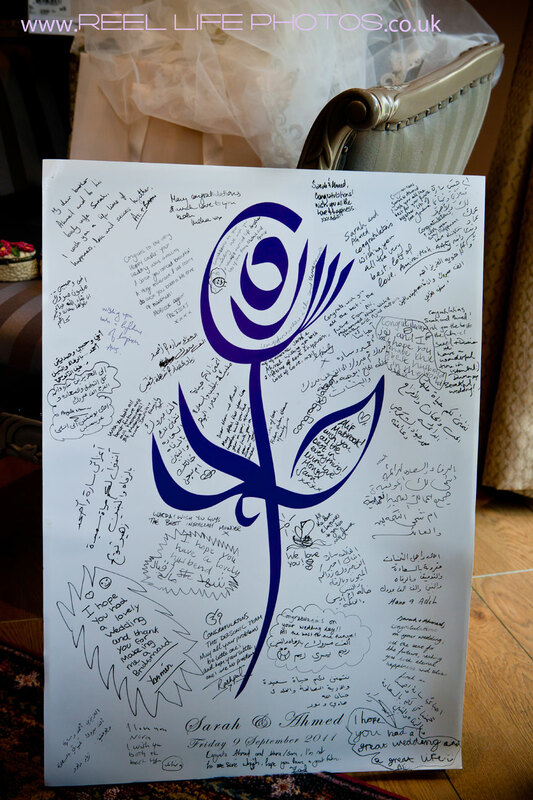 All our brides and their families have been marvelous though! 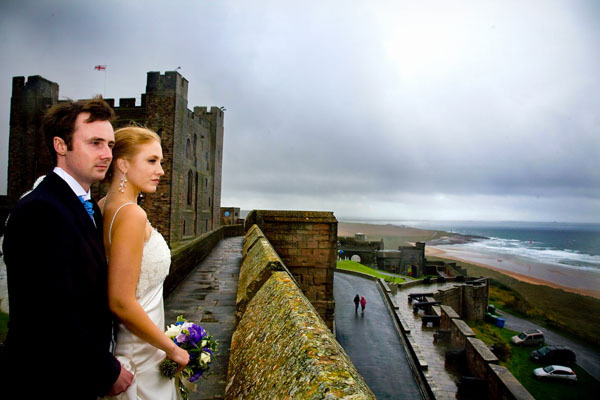 Bamburgh Castle wedding on a very rainy day in August. 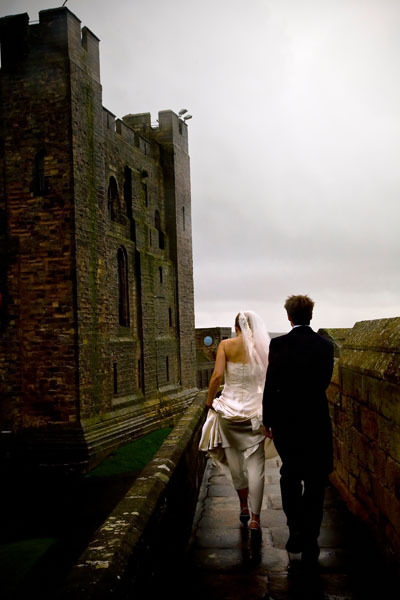 It rained when the bride arrived, throughout the ceremony inside the castle, during drinks reception in the keep, when we left to go to Seahouses for the wedding reception, but gave us a ray of hope as appeared to stop just as the meal was finishing. We jumped straight into our cars and headed back towards the castle for a private photo shoot, but trust our luck, it started again just as we were approaching the castle! Kelly & Charles were very brave to pose for a few snatched shots in the rain, but the camera lenses had drips all over them just a few minutes later and Kelly in her lovely low cut wedding dress was freezing! but then the sun did come out a bit! This couple took a huge gamble and planned a lovely picnic wedding reception – out on the grassy lawn at their wedding venue in Norfolk – Wolterton Hall. Julie was their wedding photographer too. 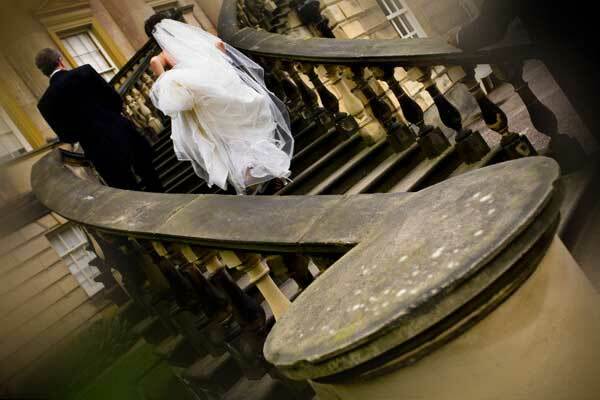 After days on end of rain this Friday wedding struck lucky – making for a beautiful non-stop photo day at Woolley Hall near Wakefield. 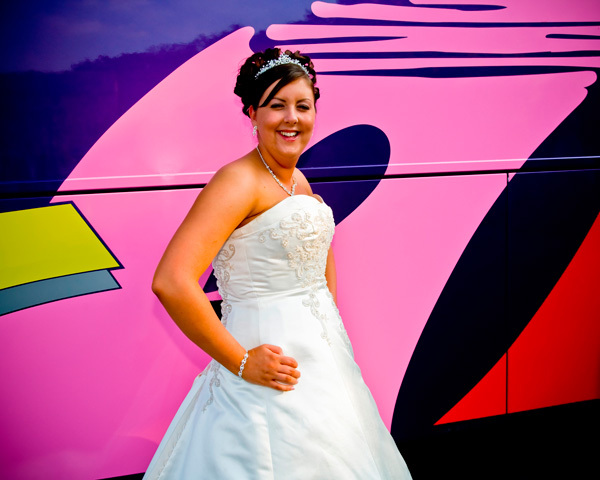 Using a colourful background – in this case a hired coach in the car park – can brighten up even the dullest day! which means we can capture romantic sunset pics too!